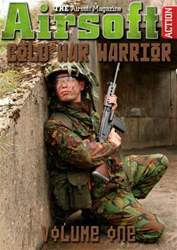 Cold War Warrior is one of the most popular series of articles in Airsoft Action and so we've decided to bring them all together in a special compilation. 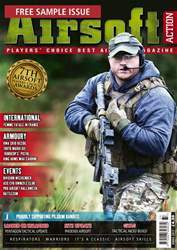 This is Cold War Warrior - Volume One and includes the first thirteen articles written by Gareth "Gadge" Harvey, Airsoft Action's own Cold War Aficianado. Each article looks at an individual loadout from during the Cold War era and, whilst keeping as true as possible to the original, shows the airsoft equivalent. Cold War Warrior - Volume One is a 44-page must-have for anyone interested in the Cold War era, including re-enactors, airsofters and those with just a general interest in the time.